Efinity Report: The number of homes for sale is a problem; here's what to do about it! The number of homes for sale is a problem; here's what to do about it! 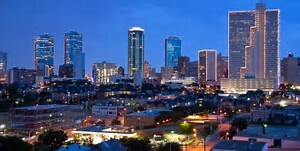 In almost every major city in Texas there is solid demand from home buyers who struggle to find a home (any home) that meets both their housing and affordability requirements. This is especially true for first time home buyers. It’s a situation that requires both patience and creative solutions. 1.Look at a fixer-upper. That run-down house that’s been sitting on the market for months may be a diamond in the rough for a buyer with the vision to see its potential, especially if you have the time and skills to participate in renovations. Before making an offer, however, encourage your agents to assist in estimating renovation costs and identifying people in the trades to assist them. There are several different loan programs which make financing the improvements easy. 2. Buy a teardown and rebuild. If a thought of a fixer-upper doesn't excite you, perhaps a teardown, or a vacant lot, and building a new home. Fortunately, there are many ways to accomplish this without the expense of hiring an architect or a custom home builder. Learn who is supplying prefabricated and modular homes to your market—options that aren’t only economical and energy-efficient, but also increasingly popular with younger buyers. 3. Consider a duplex. While many don't love the idea of managing a property (much less a neighbor) the financial upside is hard to ignore. Improvements made to the property may be tax deductible and the additional income will never hurt.